Our Hearts Were Burning Within Us A Pastoral Plan for Adult Faith Formation in the United States, Statement of the U.S. Catholic Bishops 64. In Adult Faith Formation, we want “to encourage a living, explicit and fruitful profession of faith” (General Directory for Catechesis, 66). As stated in Our Hearts Were Burning Within Us, living faith involves fully participating in Sunday Mass, reading of Scripture, being involved in the parish community, prayer, works of service and loving our neighbors. Explicit faith is being in a personal relationship with Jesus, a growing in love with Jesus. Fruitful profession of faith results in experiencing the love of Jesus in a personal relationship and as a result of it, all our actions become fruitful whether it is in a soup kitchen or volunteering in any parish activity that benefits the whole parish community (50-63). Holy Spirit Catholic Community offers programs geared toward accomplishing these dimensions and can include programs such as bible study groups, small faith sharing groups, social justice groups that focus on helping the needy, retreats and prayer services during special liturgical seasons. 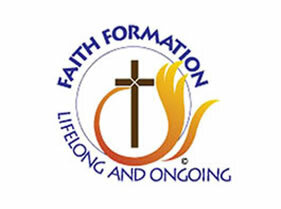 Holy Spirit Catholic Community invites all parishioners to participate in the Faith Formation programs we offer. To learn more about our programs, visit the different options listed in the menu.